A lot of you regularly ask us if Board Game Arena is going to publish an application for tablet or mobile in the future. 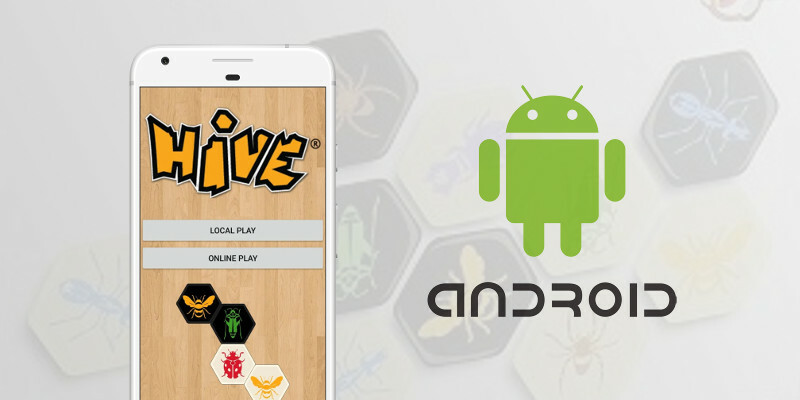 Well, we still do not know if this would be good or bad for BGA, but we would like to explore something in this area so here it is: the Hive application for Android developped by Jean-Baptiste Chaubet is now connected to Board Game Arena for online play! This app has everything that you can expect from an app: local play, a (strong) AI, a tutorial, and of course an interface that has been designed for mobile. This integration between the Hive app and BGA has been realized by the Hive app developer Jean-Baptiste Chaubet: we'd like to thank him for this great opportunity to see how it feels to play online on BGA from an app! To install Hive for android, follow this link. Note: for now the Hive app does not support the Facebook/Google login buttons. If you want to use your BGA account for this app, you may have to dissociate Facebook/Google from your account on the Preferences / Account page in order to get a password associated to your email that you can use on the app (and then, you can associate your account again to Facebook/Google if you want, the password will stay valid). I've been using the app for months and it is awesome and the updates keep improving it. Is there a way to get the app on the app store for iOS? By the way, I'm looking for the BGA app on the same store but there isn't... Are you planning to publish BGA app on the app store for iOS as well? Wait, you can unlink your google/facebook login from an account without affecting your current account history and then link it to a traditional login? Sounds good. Is there any plan to do the same with the steam version? biiefarii wrote: Is there a way to get the app on the app store for iOS? Tintoretto wrote: Sounds good. Is there any plan to do the same with the steam version? JCase16 wrote: Wait, you can unlink your google/facebook login from an account without affecting your current account history and then link it to a traditional login? Yes, from Preferences / Account. annoying to do it in such a one sided way (android and not ios). Pretty serious bug here: If your opponent proposes a draw, and you click anywhere other than the notification box, the box disappears, but it doesn't go through as an accept or a decline. I'll go report this on the app too, but thought I'd mention it here. Got it - I love this app. Makes so much fun.